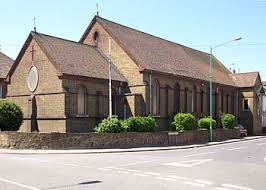 We are proud to belong to the Parish of Our Lady’s in Gillingham. Fr Sean is a regular visitor to school celebrating Whole School Masses and Liturgies with the children. From Y3 the children attend a weekly Parish Mass on a rolling programme. Sacramental preparation is run by the Parish. As a Catholic School, we encourage our pupils at the end of KS2, to transfer to the local Catholic Comprehensive School, St. John Fisher, with whom we have close links.